Governor Matt Mead said in his State of the State address Wednesday that lawmakers need to think further about Medicaid expansion in the state and to develop a plan specifically for Wyoming. 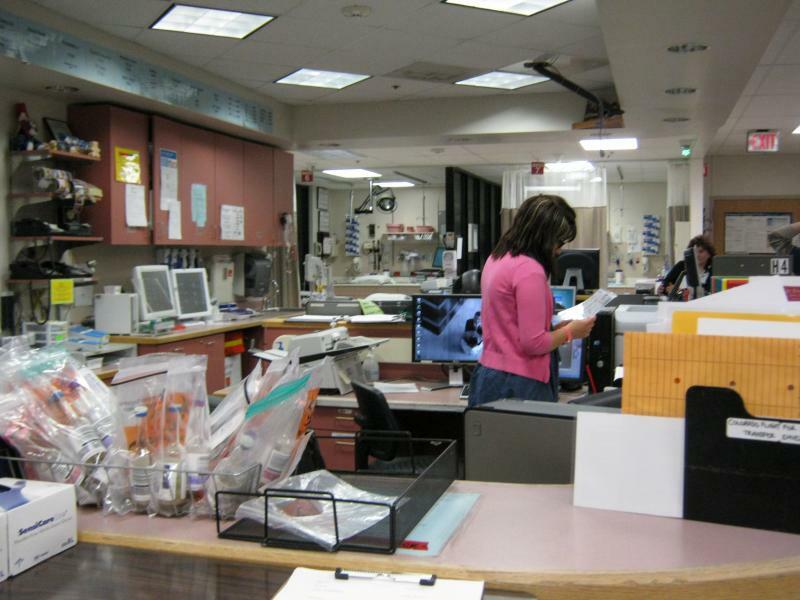 Department of Health Director, Tom Forslund, said the state would save about $50 million over six years under a full expansion. House Majority Floor leader Kermit Brown says there are still too many unknowns in the federal rules for the Affordable Care Act that could hurt Wyoming. Two Leaders of the Wyoming House of Representatives expressed different views of expanding Medicaid during the opening day of the legislative session. Speaker of the House Tom Lubnau said during his opening remarks to the House that he is not a fan of the Affordable Care Act and wants the state to wait before it considers expanding Medicaid for more citizens in Wyoming. Lubnau doubts that the federal government can afford the program. Wyoming Speaker of the House Tom Lubnau says it is time that the state raise the gas tax. Lawmakers will consider legislation this session that will increase the gas tax by ten cents a gallon. During his opening remarks to the House of Representatives, Lubnau says the time has come to pay for Wyoming’s roads. The Wyoming Senate President is urging cooperation after what he calls an ugly campaign season. Tony Ross of Cheyenne urged the Senate to work together and not let the public get cynical. Ross says that’s important because this will be a difficult session with lots of important issues to address. In early 2013 the state legislature will discuss cutting the state budget. While some say only minimal cuts are needed, others are not so sure. State Senator Tony Ross says the so-called fiscal cliff could add to the loss of federal money the state is already dealing with, starting with the loss of abandoned mine land money last fall. The President of the University of Wyoming says while the six percent budget cuts are better than the eight percent the Governor had previously proposed…he says they will still cause pain. President Tom Buchanan told the legislature’s Joint Appropriations Committee that the cuts could cost U-W 60 to 95 employees and added that some may have to be layoffs. Buchanan also made the case for increasing U-W’s faculty and staff salaries by three percent. State Superintendent of Public Instruction Cindy Hill says she is looking forward to addressing a legislative committee next week following a report that was critical of her department. The Legislative Service Office report said that errors and communication problems led to delays in the Department of Education’s ability to provide necessary federal information and required state accountability data. Hill says the report is inaccurate. Republicans in the State Senate have elected Cheyenne’s Tony Ross to serve as Senate President and Laramie’s Phil Nicholas to serve as majority floor leader. The House previously announced its makeup, choosing Tom Lubnau to be speaker and Kermit Brown to be majority floor leader. 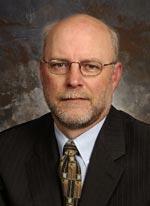 Steve Harshman of Casper will become the new chair of the House Appropriations Committee. The Senate also added some new committee chairman, the most notable being Riverton’s Eli Bebout who was chosen to serve as its Appropriations Committee Chairman. A report by consultants hired by the Legislature gives the Wyoming Department of Education poor marks in implementing state education reforms. The report says the agency has failed in some of its responsibilities and hindered other entities involved in the state's initiative to better prepare its public school students for college and careers. The report blames much of the agency's failings on loss of too many key personnel in the last two years. 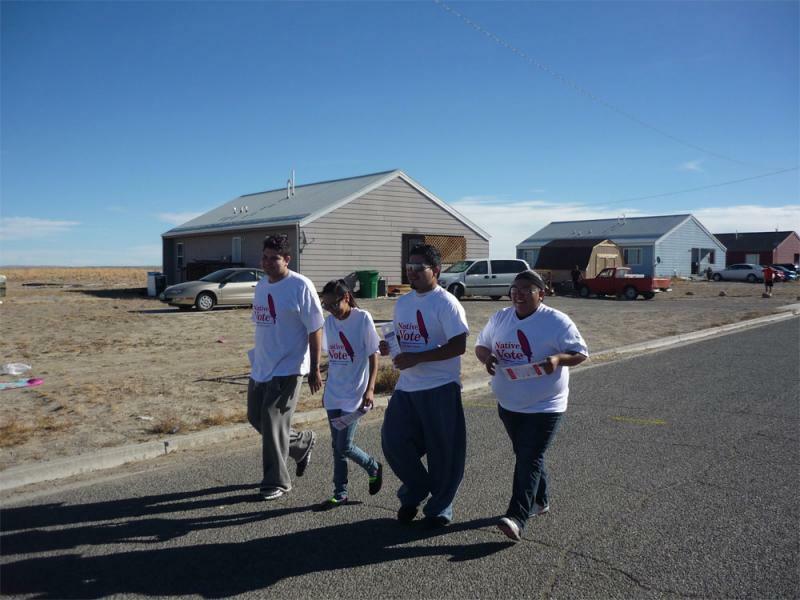 A get-out-the-vote effort on the Wind River Indian Reservation helped get people to the polls, but Fremont County, where the reservation is located, still showed slightly lower numbers of ballots cast this year than in 2008 and 2004. Voter turnout on reservations has generally been low and often community members take more interest in tribal elections than in state and national races, but Wyofile journalist Ron Feemster, who was on Wind River for Election Day, says that didn’t seem to be an issue. : Jim Stanford detests campaign yard signs. So when he decided to run for a seat on Jackson's Town Council he says he decided not to use them. The idea snowballed from there with Stanford deciding to run a paper-less campaign. In a competitive race, packed with qualified candidates, his unconventional approach worried campaign team members, including Amy McCarthy. "I just wanted to make sure that as Jim went from door to door with so many people not being home that they knew that he had tried to stop by," McCarthy said. The Mayor of Cody says residents in her community can expect to see budget cuts and a reduction of services following the failure of a one-percent sales tax which was intended to address infrastructure needs of Park County. Fremont County will have more money to fix roads, now that voters have approved a 1-percent sales tax. County Commission Chairman Doug Thompson says the state transportation funding hasn’t been adequate to properly maintain the county’s transportation infrastructure. Wyoming voters have endorsed a state constitutional amendment specifying that competent adults have the right to make their own health care decisions. Proponents had pushed the amendment to voice opposition to the federal Affordable Care Act. They say they still see a place for the amendment despite a ruling by the U.S. Supreme Court this summer that upheld portions of the federal law. Voters on Tuesday also endorsed an amendment specifying that the state will preserve citizens' opportunities to hunt, fish and trap. think constituents realized that's not what they wanted to do." Republicans have increased their clout in the Wyoming Legislature as a result of yesterday’s election. The GOP gained two House seats in Rock Springs and another in western Wyoming, though Democrats gained a seat in Cheyenne. One of the Democrats’ key losses was Rep. Joe Barbuto, an incumbent from Rock Springs. He lost to Republican Mark Baker. Several other Democratic incumbents had fierce competition as well. Rep. Mary Throne, Sen. Floyd Esquibel, and Rep. Patrick Goggles each won re-election by only a narrow margin. 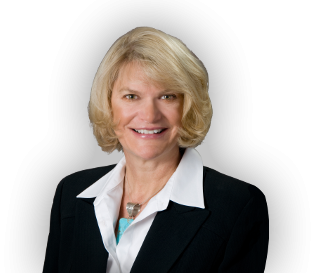 U.S. Representative Cynthia Lummis easily won re-election in yesterday’s election. She was up against Democrat Chris Henrichsen and three third-party candidates. Lummis says the presence of the minor-party candidates indicates that some Wyomingites feel the Republican candidates weren’t conservative enough. Beyond selecting federal and state candidates, Wyoming voters decided the fate of numerous local ballot initiatives. In Weston County, voters increased property taxes to raise funds for the local hospital, nursing home, and other health services. Sweetwater County voted to issue bonds to build a new pool at the high school, and passed a 1% sales tax for infrastructure projects. Platte County will re-authorize property taxes to fund a nursing home, and Converse County approved a 1% sales tax to build a library and an education building. Democrats in Wyoming are widely outnumbered by to Republicans, and this election they lost another member in the Legislature. 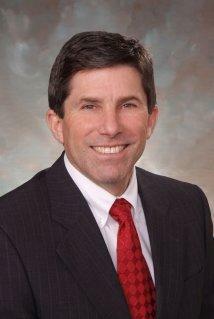 Republican Mark Baker defeated Democratic Representative Joseph Barbuto for a state Representative seat. 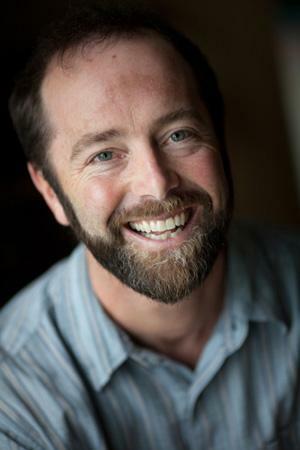 Democrat Chris Henrichsen ran for US House against Cynthia Lummis and lost. He says the keys is not to bolster the party, but to focus on running candidates that can appeal to different kinds of voters on issues, like Democratic governors have done. Teton County ran out of ballots at several polling stations tonight because of skyrocketing voter turnout. Volunteer election judge Mike Gierau says there were almost 5,000 absentee ballots, in addition to massive amounts of people waiting in line to vote on election day. “A lot of times you see people in a presidential year just vote for the top offices and then not really go on to the other side of the ballot. Today there was a lot of votes on the other side of the ballot, a lot of votes on those propositions we saw." 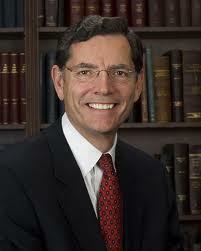 U.S. Republican Senator John Barrasso has been re-elected. The conservative Junior Senator from Wyoming says there needs to be more bi-partisan cooperation during the next Congress. District 14 (Lincoln, Sublette, Sweetwater and Uinta Counties): With 14 out of 24 precincts reporting, Stan Cooper, the Republican incumbent, leads John Vincent Love 1,881 to 329. 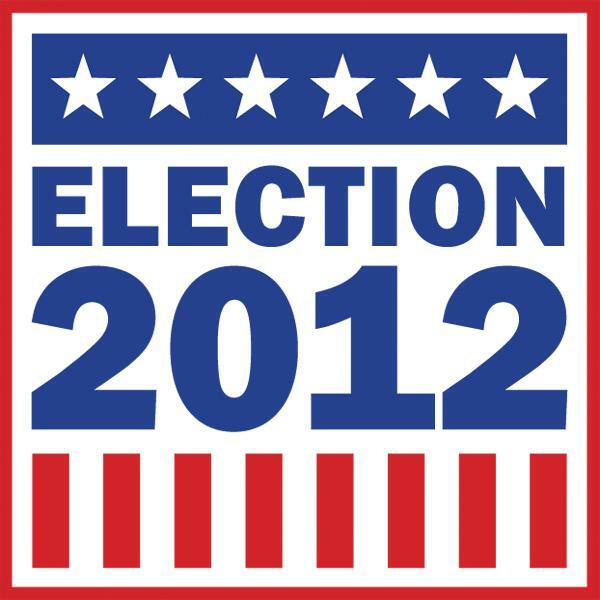 District 8 (Laramie County): Incumbent Democrat Floyd Esquibel beat Republican Curtis Albrecht 1,816 to 1,681. 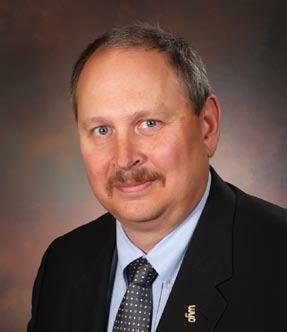 District 28 (Natrona County): Republican Jim Andersen beat Democrat Kim Holloway 4,560 to 2,462. With 13 of 13 precincts reporting, Democrat Tim Sullivan beats Republican Shelley Towler, 5794 to 4910 to for the open seat on the Albany County Board of Commissioners. With 46 out of 46 precincts reporting, Republicans Forrest Chadwick and Matt Keating are ahead of the pack for two seats on the Natrona County Board of Commissioners. They have 14,648 and 14,146 votes respectively. Independent Keith B. Goodenough is in third place is 10,468. In addition to voting on candidates this general election, voters were asked to decide on three Constitutional Amendments and, in most counties, on local proposals for sales taxes and development projects. Here's the breakdown of the ballot questions. - Authorize property tax not exceeding 1/2 mill on the dollar of assessed valuation of all taxable property in Albany County for planning, developing and providing regional transportation? Voter turnout in Teton County has been much higher than expected. So high that one poll has already run out of ballots. Teton County Clerk Sherry Daigle says she stocked the polls with enough ballots to accommodate 105-percent of registered voters there. But by mid-afternoon, at least half of all precincts were getting ready to open – or had already dug into – their last pack of 100 ballots. 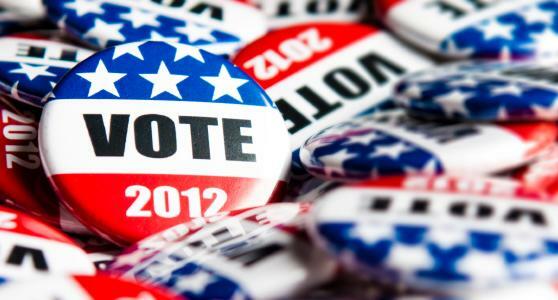 Voters have reported problems at polls in Park County, which opened at 7 a.m today. David Koch of Big Horn News Network says poll workers told him that several ballot machines in Cody had not been programmed when the polls were opened. First Deputy County Clerk Mike DeMoney of Park County tells Wyoming Public Radio that’s not true, but that a few of the machines had been mistakenly programmed to an incompatible setting. DeMoney says the problem was fixed by 7:30 a.m.
State officials are expecting strong voter turnout tomorrow. A Constitutional Amendment designed to keep the federal government from deciding what health care Wyoming residents can receive has some uneasy. 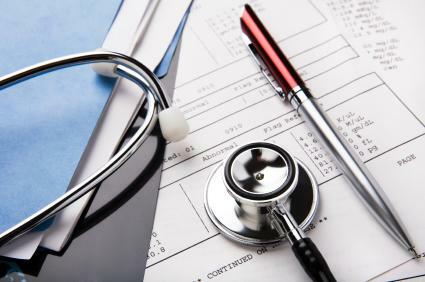 Constitutional Amendment A gives rights to Wyoming citizens and the state over health care decisions, but some worry about a provision that gives the legislature power to determine reasonable and necessary restrictions on someone’s health care rights. At last night’s congressional debate, four out of five candidates for Wyoming’s U.S. House seat said climate change is not a concern. The three third-party candidates all said they don’t believe that human activities contribute to global warming. Constitution party candidate Daniel Cummings said he thinks the earth is warming because of a natural sun cycle. “So those who want to put a cap on global warming have got to find a way to turn down the sun,” Cummings said. During tonight’s Congressional debate, Democrat Chris Henrichsen attacked Republican Rep. Cynthia Lummis for losing hundreds of millions of dollars of Abandoned Mine Lands money that were destined for Wyoming. 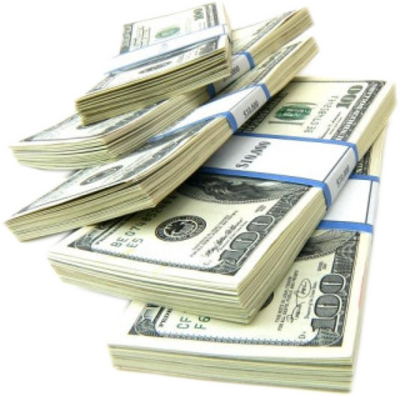 Coal-producing states receive AML funds in order to pay for mine reclamation, but Wyoming used a portion of the money for buildings, infrastructure and other projects. This fall, Congress voted to severely limit the amount the Cowboy State gets. Henrichsen says Lummis failed in her duties because she failed to stop the measure.